Westin Hotels & Resorts, part of Marriott International Inc. announced the opening of The Westin Desaru Coast Resort, in Desaru, Johor (The Westin). 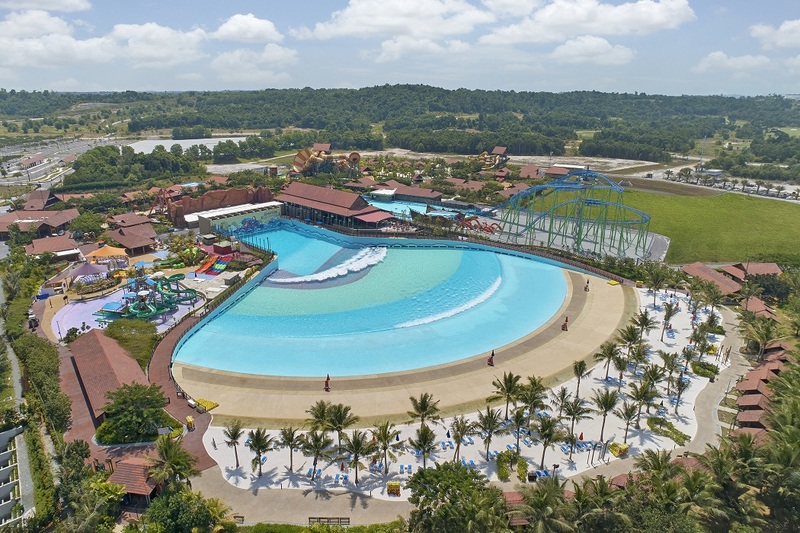 Owned by Desaru Development Holdings One Sdn Bhd, the 275-room property is part of the new Desaru Coast development, a large-scale integrated holiday and event destination featuring an adventure waterpark nearby, a conference centre, as well as two championship-level golf courses. Desaru is a resort destination that features long stretches of white sandy beaches with clear shallow waters on the edges of the South China Sea. The resort is approximately 82 kilometers away from Johor’s Senai International Airport, and just over 100 kilometers from Changi International Airport in Singapore. It is an easy one-hour drive from the state capital city of Johor Bahru via the new Senai-Desaru Expressway, and only one-and-a-half hours’ drive from Singapore. “Westin’s signature wellness programmes are thoughtfully designed to empower our guests to rise above the rigors of travel and we believe that The Westin Desaru Coast Resort has the right elements for guests to eat, sleep, move, feel, work and play well,” said Mike Fulkerson, Vice President, Brand and Marketing, Marriott International Asia Pacific. The Westin Desaru Coast Resort was curated by award-winning design consultancy ZDR. The design of the beachfront property integrates elements and inspirations from the ocean, with the use of materials and patterns that evoke nature. 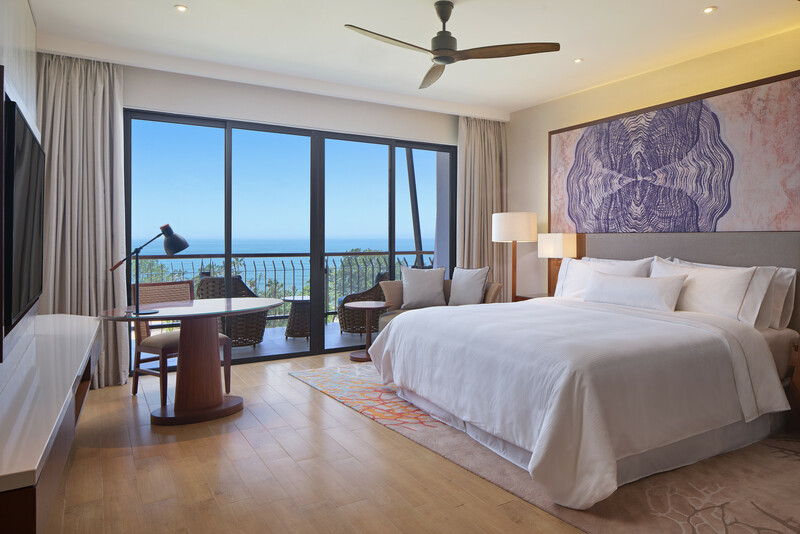 Bright, airy sea-facing rooms are bathed in natural light and provide elevated vantage points, with sweeping panoramic views of the South China Sea. In every well-appointed guest room, thoughtful amenities such as the signature Heavenly Bed and Sleep Well Lavender Balm will ensure a great night’s rest. For guests staying in Westin Club rooms and suites, the Westin Club Lounge offers an exclusive, ideal space for relaxation, along with facilities to organise meetings. Guests at the resort will enjoy a wholesome selection of dining options. Seasonal Tastes is the all-day dining outlet, with a buffet and an à la carte menu which showcases Asian and International cuisine. The Beach Bar is a casual hangout spot for cocktails, drinks and light snacks right on the beach, and Prego is the resort’s signature Italian restaurant, with its cozy intimate spaces for European fine dining. MIX Lounge, the lobby lounge which highlights afternoon tea and petit gateaux, and last but not least, Splash, the pool bar to cater to guests relaxing and lounging by the pool. Adjacent to the resort is the Desaru Coast Conference Centre, managed by The Westin. The venue has a total of 1,252 square meters of fully-equipped event space with the capacity to host almost 1,400 guests. The showpiece of the conference centre is a dynamic grand ballroom, which can be divided into four smaller event and pre-function spaces. Whether indoors or outdoors by the beach, The Westin Desaru Coast Resort offers enlivening experiences for events and weddings. The integrated resort is a wellness destination for relaxation and rejuvenation featuring Westin’s signature programming, the Heavenly Spa by Westin. The spa’s signature Heavenly Spa Massage treatment includes a Swedish massage and heated compress applied on the meridian points to release tension and break up muscle “knots” promoting a sense of relaxation and well-being. Whereas the hydrothermal pools in the spa with a combination of 38°C temperature and water jets provide unique benefits including cleansing and detoxification of skin, relieving tired and aching muscles, increasing circulation thus renewing the mind and body. For guests to stay active on the road, WestinWORKOUT Fitness Studio is open 24 hours. To explore the destination while staying fit, the RunWESTIN programme offers guided run led by the resort’s Run Concierge as well as Westin Gear Lending with New Balance. In addition, the resort offers an outdoor pool and Westin Family Kids Club providing imaginative spaces for kids to play and for parents to relax, which makes the resort a perfect vacation destination for the entire family. “We look forward to welcoming guests of all ages to The Westin Desaru Coast Resort,” says Vikram S. Mujumdar, General Manager of The Westin Desaru Coast Resort. “Furthering the brand’s commitment to guests’ well-being, our guests can expect the very best during their stay with us and we aim to exceed their expectations in every way,” added Mujumdar. Sunway Citrine Hub brings DreamWorks KouKou to Iskandar!